Hahn-Schickard Institut für Mikro- und Informationstechnik (HS-IMIT) provides support, primarily to industrial SMEs, in the development of new products, being certified according to ISO 9001:2008. It is one of the leading institutes in Europe in the fields of microsystems engineering and microfluidics. The institute is organized in 4 business units: Sensors & Systems; Prototyping & Production; Microfluidics; and Lab-on-a-Chip. The Lab-on-a-Chip business unit in Freiburg dedicates its research since 2002 to the development of customized Lab-on-a-Chip systems and microfluidic platforms for biological applications; simulation and prototyping; fast, inexpensive development and full transfer/implementation of biochemical assays from the lab to integrated and portable systems at the point-of-care. Its infrastructure includes prototyping and pilot line for microfluidics fabrication and packaging. Life science facilities include S2 and S3** laboratories for in-house assay validation. 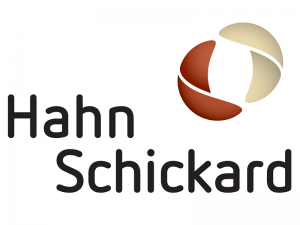 The Hahn-Schickard Institut für Mikro- und Informationstechnik is work package on the project coordination and management – WP1 ; on the microfluidic design, simulation, and integration – WP3; and on the disc and test cartridge manufacturing – WP7. They are also in charge of the transfer of developed assays and protocols from tube to disc, and the sample processing on the disc using microfluidic unit operations. 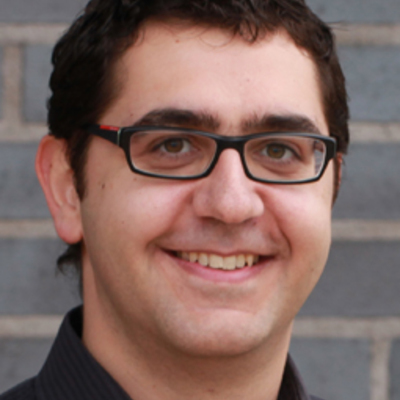 Dr. Konstantinos Mitsakakis is a Physicist with an MSc on Nanoscience & Nanotechnology. He acquired his doctoral degree (2010) in Materials Science & Technology, working on the development of a multi-analyte acoustic biosensing platform for cardiac marker detection. Dr. Konstantinos Mitsakakis has a track record in the acquisition and management of national Fellowships and EC research projects. 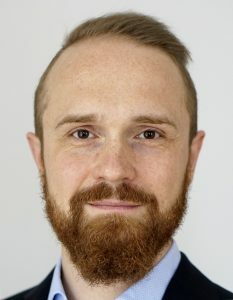 He joined the LOAC group at HS-IMIT with a Humboldt Foundation fellowship and is currently the coordinator of the FP7-ICT project DiscoGnosis. He is author of 13 publications with several contributions in international conferences. His research interests lie in the field of micro/nanotechnology for life sciences and diagnostics, biosensor technologies, microfluidics, lab-on-a-chip and microanalytical systems. 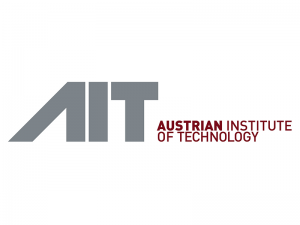 The AIT Austrian Institute of Technology GmbH is the Austria’s largest non-university research institute and is composed of five departments. Within the Health & Environment Department, the Molecular Diagnostics business unit is aimed at identifying effective ways for early diagnosis of age-related diseases, such as diabetes, cancer and fibrotic diseases as well as infection diagnostics. They develop biomarkers based on nucleic acids and proteins (especially autoantibodies, DNA methylation patterns, pathogen genotyping and antibiotic resistance testing), and highly sensitive and specific biosensor systems for medical diagnostics which can be integrated into portable devices. The Austrian Institute of Technology’s Molecular Diagnostics business unit is work package leader on nucleic acid assay development for amplification and microarray – WP4. It also has to deal with saliva sampling strategy. Dr. Johannes Peham holds a M.Sc. degree of Cranfield University, UK in molecular medicine and received his PhD in electrical engineering from the Vienna University of Technology. His research focus lies on microdevices for molecular diagnostics and the development of Point of Care compatible assays. Examples are microfluidic PCR and immunoassays, biosensors, microfluidics, miniaturised sample preparation devices and automated DNA, RNA and protein assays which is also reflected in his national and European funded projects (FFG, H2020). Dr. Peham is heading the highly interdisciplinary group System Integration and Point of Care Devices where he supervises several PhD Students. His group is part of the business unit Molecular Diagnostics of the Austrian Institute of Technology which has a major focus on salivary diagnostics in the human and veterinary field. The major aim is to combine biochemical salivary assays with miniaturized sensing and processing platforms, to achieve fully integrated and superior point of care diagnostic devices. 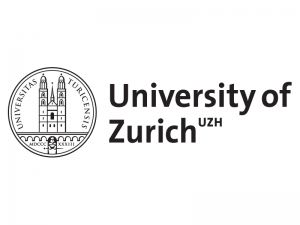 The Centre of Dental Medicine (ZZM) is part of the University of Zurich (UZH) and has a long history as a Research Centre of Excellence in Dentistry. The research at ZZM is organised around specific clinically or biomedically relevant problems, and benefits our dentists and thereby patient treatment, while it facilitates novel diagnostic and therapeutic methods. As an internationally approved clinic centre, education centre and research centre, it unites six specified clinics and institutes. About 130 dentists are working towards improving the dental state of our patients, and subsequently, their quality of life. The Centre of Dental Medicine checks regularly its quality facilities for high quality services to the patients. The Centre of Dental Medicine is performing clinical validation for oral infections using real clinical saliva samples, in cooperation with the Austrian Institute of Technology; as well as a microbiological/immunological work on nucleic acid and assay development, alongside BioVendor. Prof. Dr. Thomas Attin acquired the dental state exam in 1989 at the University of Marburg, where he received his Doctorate in 1991. From 1989-1999 he worked at the universities in Heidelberg, Cologne and Freiburg i. Brg. and in a dental practice. In 1999 he became acting head at Freie Universität Berlin as a visiting professor. 2000 he was appointed full Professor at the University of Göttingen. In 2006 he was appointed a full professor at the Center for Dentistry (ZZM), University of Zurich, where he has since also be a director of the Clinic for Preventive Dentistry, Periodontology and Cariology. Since 2013 He is head of the Centre for Dentistry (ZZM). His research focuses on conservative dentistry with a focus on Preventive Dentistry and Cariology. The Section of Oral Microbiology and Immunology (OMI) researches on the microbiological aspects of oral diseases. More specifically, they have facilities for conventional (anaerobic bacterial cultures) and molecular (FISH/ epifluorescence microscopy, qPCR) detection assays for oral bacteria, as well as a wide range of isolated oral bacterial species as model organisms. The Section hold collaborative projects with several ZZM Clinics, as well as Dental Institutes abroad, such as Karolinska Institute. 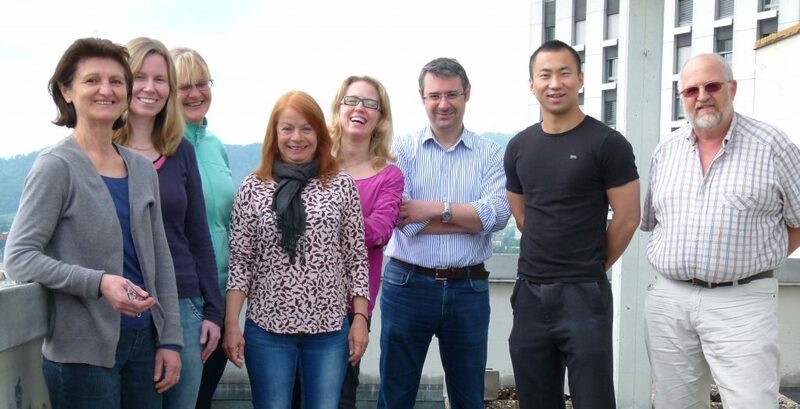 The UZH(OMI) partner is engaged in the development, incorporation and validation of the nucleic acid and protein assays for the oral infections panel (O-Disc), working in close collaboration with KI. 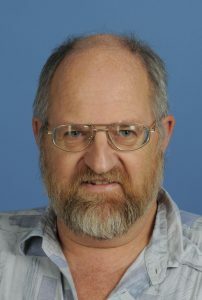 Dr. Thomas Thurnheer studied Natural Sciences at the Swiss Federal Institute of Technology Zurich, Switzerland (1979) and attained his PhD in microbiology at the Institute of Microbiology, Swiss Federal Institute of Technology Zurich (1988). He worked as post-doctoral research associate at the Institute of Microbiology, Swiss Federal Institute of Technology Zurich, supervising a project oriented study entitled „Biodegradation of sulfonated aromatic compounds“ and was IT officer at the institute (1988). From 1989-1992 he worked for Hebeco SA, Wattwil, Switzerland as leader of R&D and production of enzymatic products for waste water treatment. Since 1993 he works at the Section of Oral Microbiology and Immunology at the Center of Dental Medicine, University of Zurich, Switzerland first as post-doctoral research associate (research field: production of monoclonal antibodies for the identification of oral bacteria in plaque) and afterwards (2000-today) as scientific researcher at the same institution. Since then, his research focused on investigations of the 3D-structure of oral biofilms using confocal microscopy as well as the identification of oral bacteria by fluorescent in situ hybridization. 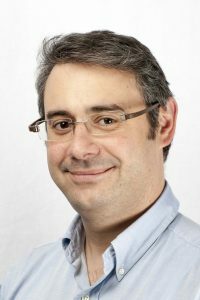 Since 2012 he is project leader of the biofilm group and since 2016 he is the Head of the Section of Oral Microbiology and Immunology. His research expertise lies in oral microbiology as well as in modern techniques for the identification of microbes such as fluorescent in situ hybridization or confocal microscopy. The study of multispecies oral biofilm models are the primeline of his research in order to elucidate (i) physiology and 3D structure of biofilms under changing conditions and (ii) interactions between biofilm and host cells. 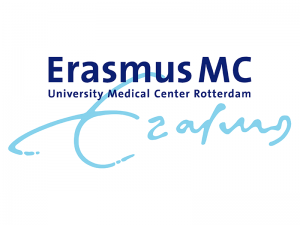 The Erasmus University Medical Centre (Erasmus MC) is one of the largest university medical centres in Western Europe. The entire spectrum of medical science converges at Erasmus MC, with the organisation including a specialised children’s hospital (Erasmus MC –SOPHIA) and cancer centre (Erasmus MC Cancer Institute). In addition to medical-based research, the collaboration between the departments of Erasmus MC allows substantial translational research. Besides, Eramus MC supplies bacterial isolates and antimicrobial resistances to project partners; routine diagnostics; future-proofing studies; and is developing a central server for data processing. Finally, Eramus MC is in charge of the presentation of DIAGORAS results, and coordinates activities between the departments. Scientific Research, Proposal Development and Project Coordination of the various tasks assigned to the different EMC departments involved in the DIAGORAS project. Dr. Hays is an associate professor in the Department of Medical Microbiology & Infectious Diseases at the Erasmus University Medical Centre Rotterdam (EMC) who has worked in several fields of microbiological research. He has a special interest in developing cross-cutting research ideas and implementing technological-based studies. Dr. Hays has been involved in 7 EU projects (3 as coordinator) and is currently interested in [cross-cutting research areas relating to] POCT diagnostics, antibiotic resistance and the human microbiota. 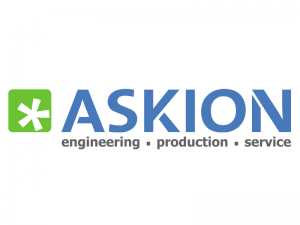 ASKION is an SME that develops products and services for the medical diagnostic and bio-analytic industry. The company has long term experiences in using optical technologies for their products. It includes the selection and qualification of illumination sources, design of optical paths, as well as calculation and the implementation of different detection methods into technical applications. ASKION has also the capability to handle all disciplines of a complex development for medical devices in house, and can assure system verification and validation. ASKION is work package leader on the manufacturing of the LabDisk reader (optical, mechanical, temperature units) – WP8. Mr. Lutz Doms is a mechanical engineer. Different stations in his career were R&D employment at companies like Zeiss, Agfa and Bayer. For Bayer he worked as an R&D manager for diagnostics instrumentation and lab automation for five years in the USA. He was the cofounder of ASKION in 2005 with the main responsibility for R&D in the company. 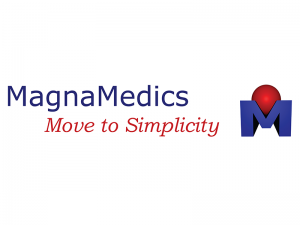 MagnaMedics Diagnostics (MMD) is a privately owned SME dedicated to development, production, and sales of customised magnetic beads used in various application areas, such as in biochemical research, and in vitrodiagnostics. MMD develops protocols for the isolation of proteins and nucleic acids to be used in ready-to-use-kits (i.e : the purification of sequencing and PCR reactions, isolation of genomic DNA from blood, plants or bacteria). The SME is also able to isolate bacterial DNA from human blood with minimum contamination of human DNA ; and has recently developed solutions for matrix clean-up that can be applied to proteomics, genomics, toxicology, pharmaceutical,and food applications. One further specialty of MMD is the labelling of reagents and beads with fluorescent probes (MagSi-Fluor), among which MM-Dots. MagnaMedics, as specialist in magnetic bead based solutions, is involved in various work packages dealing with fluidic structures for setup sample preparation, quality control, storage of dry and liquid components on the disc, in the nucleic acid extractions using magnetic beads and as well as in the biomarker assay development. With a highly rated expertise in the nucleic acid extraction solutions with magnetic beads and as well as in beads modification and tailoring towards specific applications including sets of buffers to address lysis of pathogens of both oral and respiratory panels. MagnaMedics is proactively supporting the Consortium partners actions aiming to reach the planned milestones and deliverables of the project. 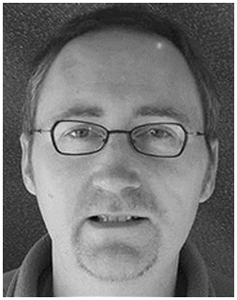 Dr. Sven Goethel joined MMD in early 2007 as educated biochemist and molecular biologist. In his role as Application Manager he is responsible for the execution of client and project specific magnetic particle developments and the development of bead handling protocols with focus on protein and peptide applications. 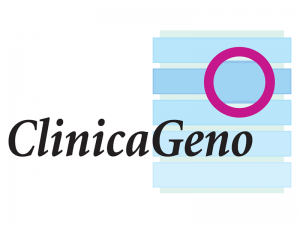 ClinicaGeno is a bioinformatics company active in the healthcare market and a specialist partner offering data analysis, software development and consultancy services for the development of advanced clinical and diagnostic solutions. In particular, CGO supports small/medium biotechnology companies and research groups during the development of diagnostic tests requiring complex IT infrastructure, analysis and software validation for upcoming clinical applications. ClinicaGeno Ltd is work package leader on development of software algorithms for data analysis and interpretation providing clinically meaningful report to end-users ; and on development of a graphical user interface and setting up a secure server for data storage – WP6. Dr. Michie is ClinicaGeno’s director in Europe and holds a Bioinformatics PhD from University College London and an MBA from the Rotterdam School of Management. He has extensive experience in cross-domain projects bridging diverse areas of science and IT. Alexanders’s experience is particularly in projects that are related to scientific data analysis and FDA/EU medical device submissions where compliance to regulatory standards is critical. The consortium gratefully acknowledges Sparks & Co for their professional cooperation during the first three years of the project and wishes to their personnel all the best for their new career opportunities. 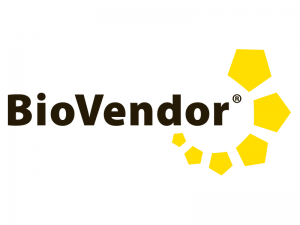 BioVendor, through its three divisions – Research & Diagnostic Products Division, Laboratory Medicine Division and Clinical Products Division – produces and distributes medical equipment and medical research products for both the Czech Republic and international markets. The Research & Diagnostic Products division of BioVendor focuses on the discovery, development and marketing of innovative immunodiagnostic kits and related monoclonal and polyclonal antibodies as well as recombinant and native proteins. BioVendor develops immunoassays for the detection of newly identified protein markers in samples of human or animal origin. The development of new kits is targeted at research groups within the international scientific community as well as for clinical laboratory applications. R&D efforts are aimed at rapidly growing fields of interest within the international research and diagnostic community, such as obesity/metabolic syndrome/diabetes, cardiovascular physiology, renal disease and injury, bone metabolism/osteoporosis, infection/inflammation, oncology/tumor markers and more. The SME is also leader on system specifications and quality control parameters for the evaluation of processes involved in the project – WP2. Another objective for Biovendor is to define an exploitation plan for the commercialisation of the DIAGORAS final platform. Sparks & Co was a science communication agency specialized in European projects. Their team of experienced communicators made research accessible to all audiences and gave projects the widest visibility. 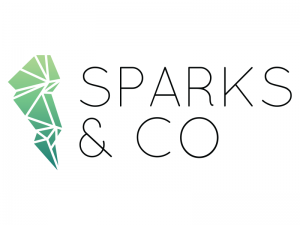 Horizon 2020 research projects deserve the best communication strategy and that is why Sparks & Co had entered the DIAGORAS project as Communication and Dissemination partner. Their activities ranged from creating a visual identity for a project, creating the right communication materials – cleverly targeted to reach the designated audiences – designing and regularly updating the project’s website, handling press relations, developing a social media strategy to best suit the project needs and measuring research outcomes impact. Sparks & Co where the work package leader on coordination and implementation of communication and dissemination strategy, plan and activities – WP10. Ms. Caroline Estephan is Work Package leader for communication and dissemination activities, managing both scientific, technical partners and her team (designer and programmer) to provide the project the best communication strategy as well as a smooth implementation for maximum project impact. She is educated in marketing and communication (Novancia Business School Paris) with a strong interest in research and innovation. She has gained experience in various specialties ranging from marketing, internal communications, business development in both small start-ups or banking companies (Société Générale). She has joined Sparks & Co in 2015 to become Project Manager and is now WP leader of two Horizon 2020 projects in health research. Karolinska Institutet is a medical University, the Department of Dental Medicine (Dentmed) conducts research and offers education at first and third level in dentistry, dental hygiene and dental technology. In addition, the department offers a student clinic open to the public where students practice supervised by experienced instructors. The Department conducts broad ranging research in the field of oral health with the objective of contributing to the improvement of human oral health and preventing and treating oral disease. The Karolinska Institutet Huddinge Campus offers excellent opportunities for conducting odontological research of high international class. The laboratories are well designed and contain high quality equipment. Its proximity to Novum, the Centre for Biosciences, Karolinska University Hospital in Huddinge, and Södertörn University College helps to create a unique, creative and dynamic environment. The Department conducts education at first (Bachelor’s) and third (Doctoral) level, with currently some 500 first-level students and 40 doctoral students. 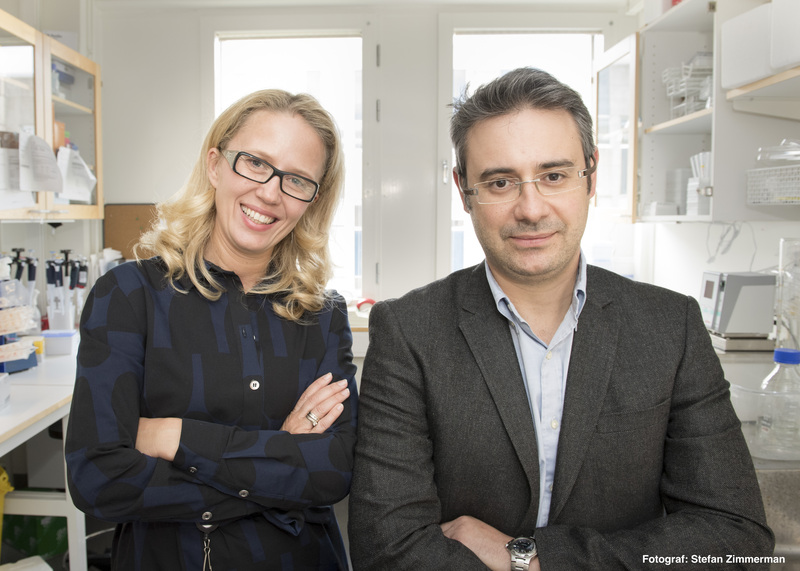 The role of Karolinska Institutet partner is to guide the development of the oral infections panel (O-Disc) by UZH(OMI) and overview the development of its diagnostic application for dental caries and periodontal disease. 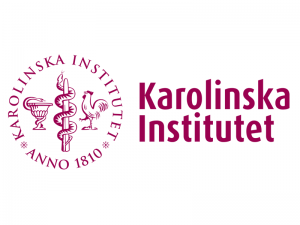 The Principal Investigators of Karolinska Institute were affiliated with UZH(OMI) during the first third of the project. Prof. Georgios Belibasakis studied Dentistry at the Aristotle University of Thessaloniki, Greece (1999), attained a PhD in Oral Microbiology at Umea University, Sweden (2004), and an MSc in Periodontology at Queen Mary University of London – QMUL (2009). He worked as post-doc at King’s College London (2005) and as a Lecturer in Oral Biology at QMUL (2005-2009), before moving to Zurich (2009) to become Head of Section of Oral Microbiology and Immunology (2011) and attain his Habilitation (2012) and professorship in Oral Microbiology and Immunology (2014). He has authored approximately 100 peer-reviewed publications in dental and biomedical journals, and is Associate Editor and Editorial Board member in several international journals. In 2012 he received the prestigious “Anthony Rizzo Young Investigator Award” of the International Association for Dental Research. His studies focus on the interactions between oral bacteria and the host for the establishment of infection, and on molecular diagnostics for oral diseases, giving equal gravity to microbial and host moieties. Since July 2016 he is appointed as Professor of Clinical Oral Infection Biology, and Head of the Division of Cariology and Endodontics, at the Department of Dental Medicine, Karolinska Institutet, Sweden.